Boots UK has released its summer TV ad, encouraging people to embrace their inner child and get in a feel-good mood for the summer. 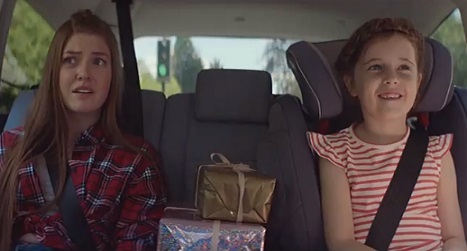 The spot, aimed at highlighting that “Boots has everything you need to help you Summer Like You’re 7”, features a 7-year-old girl having fun during her summer vacation, always with a large smile on her face and enthusiasm to discover the next holiday destination. Throghout the ad, which is set to the rhythms of the iconic song “The Bare Necessities”, featured in the Disney film The Jungle Book and performed by Phil Harris and Bruce Reitherman, sun protection products are shown being used by the girl’s family. The retailer, which provides products from top beauty brands covering skincare, bodycare, hair products and fake tan, now has a series of “Fantastic summer beauty offers”, like its famous 3-for-2 mix-and-match offers on selected cosmetics, 20% off YourGoodSkin, the chance to save 1/3 on selected Olay products, as well as “great offers” across No7 sun & tan. Boots also invites you to check out the Sun and Holiday inspiration section on its website to find hot-weather beauty tips, holiday healthcare advice, summer hair hacks, essential products to pick up and more. When you buy beauty products at Boots, you’ll be able to collect Advantage Card points. You’ll usually collect four points per pound you spend and you can use your points to get more of your favourite beauty products.